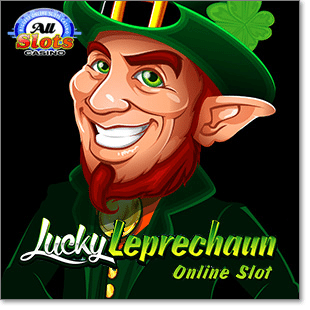 Forget the green beer (and subsequent hangover) and instead celebrate St Paddy’s day playing blackjack at All Slots Casino away from the belligerent crowds. During March All Slots is offering players the chance to boost their winnings by having a daily spin on the Reel o’ Fortune. For every dollar you spend playing blackjack (or any other casino game), you get to spin the wheel, which guarantees a win of anything from $5 to $100 in casino credits. If you’re lucky enough you’ll land on a free tickets prize, which puts you in the running to win 1,000,000 All Slots Casino loyalty points. Score that mother of a prize and you’ll be playing online blackjack in full VIP style. Players also receive one entry to the Loyalty Points Draw for every $10 spent and The lucky winner will be drawn on March 31st. Predominantly a pokies site, All Slots offers a small but great range of leading blackjack titles, including Classic Blackjack, Atlantic City Blackjack Gold, Vegas Strip Blackjack Gold and Multi-hand Blackjack. Vegas Strip Blackjack Gold is the latest of Microgaming’s fabulous blackjack titles to reach mobile optimisation, allowing players to access this awesome game of online 21 from their smartphone or tablet to play on the go. This blackjack game gained Internet popularity due to its fully customisable format and enticing casino atmosphere. Faithful players can rest assured that none of the details are lost when playing the mobile version, with the high quality visual and audio features retaining all the glory of the Web original. If you’re not familiar with the rules of Vegas Strip Blackjack you can familiarise yourself here. Give the mobile game a go for free in demo mode before you move on to risk any real money wagers. Players can access Vegas Strip Blackjack Gold and several other Microgaming blackjack variations using iPhone, iPad, Android, BlackBerry, LG, Nokia, Windows Phone and more. 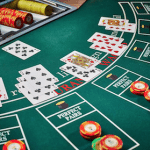 A Pennsylvania man was recently arrested and charged for cheating at a blackjack table in Sands Casino Resort Bethlehem, leading us to wonder whether it is in fact safer to play blackjack online than in real life. The player, 31 year old Telvil Destin aroused suspicion from the blackjack dealer, prompting casino officials to review security footage where it was discovered Destin was adding chips to his existing wager after the cards had been dealt. He was uncovered to have cheated at the casino 47 times and police charged him with two misdemeanours for violating state amusement laws knowingly by trick/fraud to win or reduce a loss, as well as theft by deception. Destin has been ordered to pay US$747 in compensation, which is presumably the amount he managed to defraud the blackjack table by. 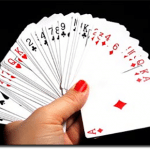 Playing blackjack online at a reputable casino leaves no possible way for a player to cheat and we’ll certainly be sharing this tale of cheating within the walls of a bricks and mortar casino to any online casino sceptics. This story follows another incident in early March, where a drunk man was ejected from a land based Hollywood casino after inappropriately touching other players at a blackjack table. Yet another reason why online blackjack takes the cake. Technology for the win!